Rosemary, Green Tea and Rose smells write! People telling you your writing stinks? Finding the sweet smell of scribing success somewhat stale? Pentel has the answer to your problem: their Ain Supplio line of aromatherapy scented mechanical pencils. 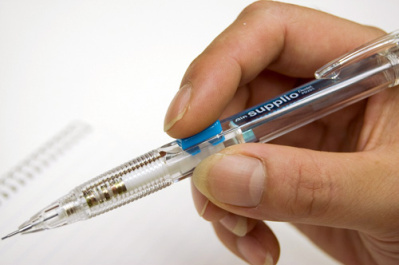 Aromatherapy and nanotechnology are combined to create Pentel's award-winning Ain Supplio scented pencils. As you write, specially selected oils waft through the air to relax, refresh and recharge. Scented pens, pencils and markers have been marketed in the past but these new pencils from Pentel are different - the leads incorporate scented aromatherapy oils encapsulated in tiny beads within the lead. The "tiny" is where nanotechnology comes in, allowing Pentel to use not one, but two trendy buzzwords in their marketing campaign. Say you're a student cramming for an important exam or a harried cubicle-dweller sweating under deadline-induced pressure. You begin writing with your Pentel Ain Supplio pencil and with each letter, nanobeads are broken and a subtle fragrance is released. Not just bubble gum or dill pickle, mind you, but special aromatherapy oils that Refresh, Heal and give you a Positive frame of mind using Rosemary, Green Tea and Rose oils respectively. 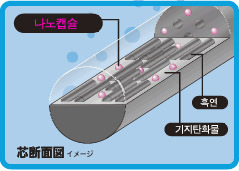 The other selling point Pentel stresses is that because the oils are sealed inside the nanobeads until released by writing, the leads maintain their aroma for up to 2 years if kept in the original package or 3 months if left in the open air. With each pencil incluing 20 extra leads, you'll be smelling up the joint for years to come! 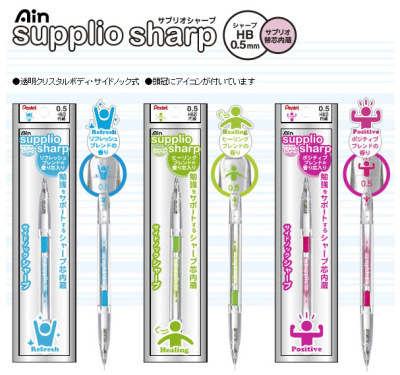 Ain Supplio mechanical pencils and their unique blend of aromatherapy and nanotechnology have made an indelible mark on the stationary community, recently winning the Stationery of the Year Award at the International Stationery and Office Products Fair held in Tokyo, Japan, in July of 2007. Stars Are Getting Their Ning On!